Proven, Powerful, Safe, and Easy to Use, Multi Radiance MR4 ACTIVet™, My Pet Laser™ and new ACTIVet PRO™ Super Pulsed Lasers are the perfect fit for any Veterinary Practice. Why use lasers for veterinary treatment? Multi Radiance Medical's Veterinary Laser Therapy devices provide accelerated pain relief and healing. This safe and powerful technology is applied with a cordless hand-held applicator providing targeted Super Pulsed Laser light that stimulates cell regeneration. Throughout the world, cold Laser Therapy is used to relieve acute/chronic pain, back pain, carpal tunnel, arthritis pain, fibromyalgia, tennis elbow, muscle strain, bursitis, tendonitis, and other injuries in humans; now we're bridging the gap and offering safe and effective for all aspects of Veterinary care. Multi Radiance Laser Therapy can be particularly helpful in reducing pain and enabling arthritic animals to be more active. It also is beneficial in managing wounds and dermatological abnormalities including hot spots, lick granulomas, otitis externa, pyoderma and healing of surgical incisions. If there is infection, blue light therapy can be used to reduce the bacterial load and minimize the need for anti-microbial therapy. Finally, Multi Radiance Laser Therapy can speed healing by decreasing pain and inflammation and promote blood flow to the affected areas. 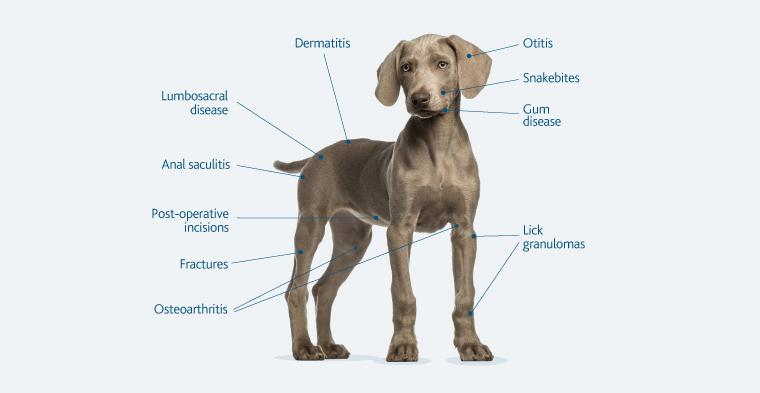 Some conditions will improve with one or two treatments, such as post-surgery and acute pain, while other conditions may require a series of visits over a few weeks, like lick granulomas and otitis. The most powerful, portable, and affordable therapeutic laser for Veterinary use, featuring Blue Light and 200 Watts of power. The most powerful, portable, and affordable therapeutic laser for Veterinary use, featuring Blue Light and 50 Watts of power. The power to treat deep conditions, with the safety to use anywhere. The MR4 ACTIVet uses super pulsing, red, infrared and blue radiances to provide powerful pain relief and healing to animals. Reduce pet stress and enhance practice income. Veterinarians can now rent My Pet Lasers to clients to deliver pain relief in the comfort of home. Indispensable tools for quality animal care. Treat hundreds of conditions easily in the clinic with the cordless and powerful ACTIVet PRO and rent out your My Pet Laser units to clients for at-home use. The perfect fit for any equine practice. Treat hundreds of conditions in the clinic with ACTIVet PRO system and rent the ACTIVet laser to clients for at-home care. The Multi Radiance Cascade Energy Effect™ uses a sophisticated software algorithm to synergize multiple wavelengths that allow the body to have the optimal absorption of photons. 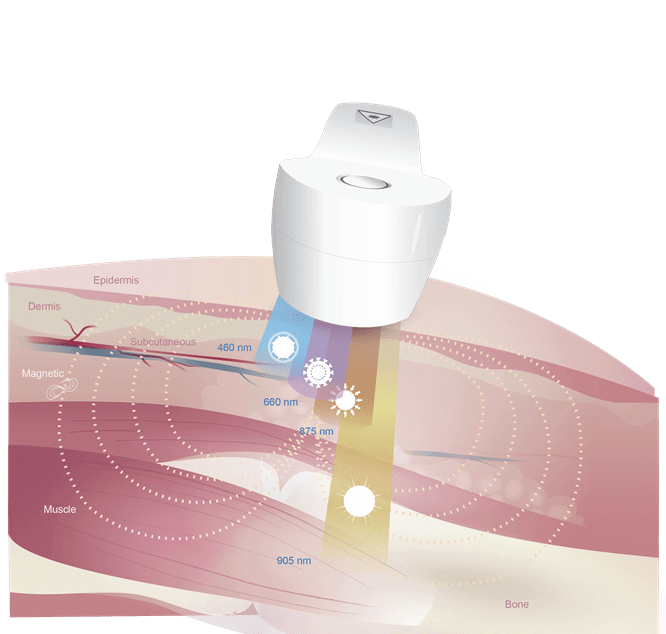 LaserSweep™ changes the number of Laser pulses emitted per second to scan target tissue from superficial to deep, preventing bodily adaptation and resilience to its therapeutic effects. This, combined with the global experience and outstanding educational capabilities of Multi Radiance Medical, makes the decision of buying a therapeutic Laser easy. We have the "know-how" and even more importantly, the "how-to." 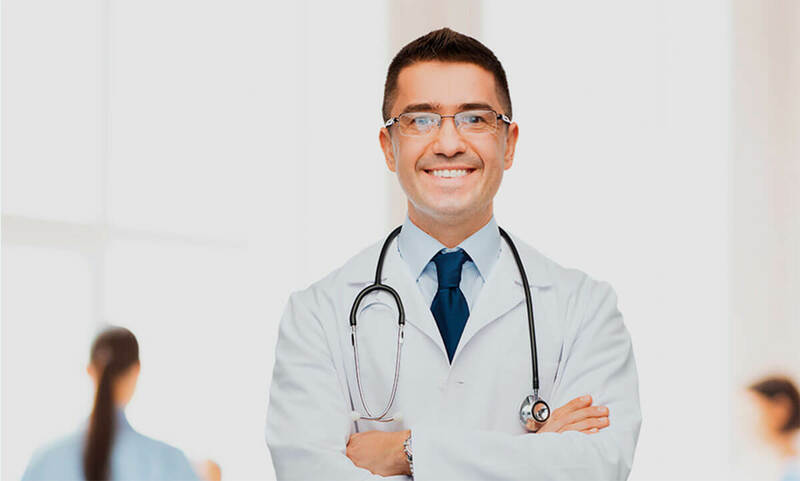 We are recognized as the best in converting that knowledge into clinical skill sets for you. Also known as soft laser, low-level laser therapy is a form of photo-therapy used to stimulate tissue repair and provide pain management. The laser uses focused red and infrared light to stimulate tissue at and below the surface of your pet’s skin. The biochemical effect of the low-level light increases the production of cellular energy and thus promotes cellular regeneration, production of collagen for tissue repair, and vascular dilation and synthesis for better circulation. Light from the low-level laser also encourages production of the body’s natural pain-relievers. What is the history of low-level laser therapy in veterinary medicine? The first low-level laser was developed in 1960 and early testing showed an increase in the speed and overall success of the healing process when it was used. Originally used for wound repair, clinical trials done throughout the 1970’s showed the applicability of the low-level laser in therapy to be more widespread than previously thought. The 1990’s came with the invention of more powerful and effective versions of the cold laser, eventually increasing its popularity in the field of rehabilitation. How can my pet benefit from low-level laser therapy? What conditions are most often treated with low-level laser therapy? Who practices low-level laser therapy? Your pet will receive their cold laser treatment from a trained animal rehabilitation therapist (ART) . He/She may incorporate the low-level laser into other forms of therapy such as therapeutic massage or therapeutic exercise, or it may be done independently. On which types of animals is low-level laser therapy practiced? Animals involved in sports or other physically demanding activities have been the most common candidates for low-level laser therapy. Horses and sled dogs are among those most frequently benefiting from this form of therapy, as their lifestyles make them more prone to injury. However, as the field of canine and feline rehabilitation expands, use of the low-level laser is becoming more popular as it has some tremendous benefits. How successful is low-level laser therapy? Because low-level laser therapy has a cumulative effect, for best results treatments should be done at the frequency recommended by your veterinarian. Low-level laser therapy is often recommended in conjunction with other modalities to provide the best outcome and may be used as either a primary or complimentary therapy.